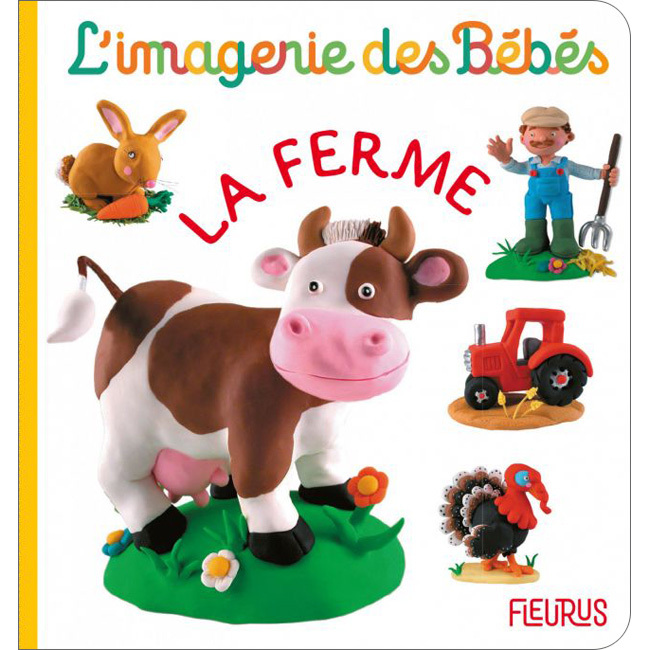 L'Imagerie des Bébés - La ferme is a gorgeous padded board book that has been beautifully illustrated using soft clay models to delight young children. Written entirely in French, it has been developed especially for the very young. It introduces the vocabulary for farm animals and has a section of one-word text at the bottom of each page. There is a little quiz at the back of the book which tests comprehension when reading this book with a slightly older pre-schooler. L'Imagerie des Bébés - La ferme is written entirely in French with no English translation or pronunciation guide as it is intended for native users. The language is fairly simple as it is aimed at young children.